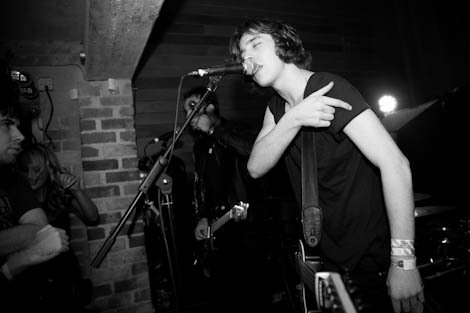 As Catfish and The Bottlemen take over the Echo Arena, Getintothis’ Jessica Borden is on hand to join in the friday night madness. Catfish and The Bottlemen and their loyal fans took over the Echo Arena on Friday night. Walking down to the docks the large groups of friend all heading down to see Catfish and The Bottlemen had already began to take over the streets. The excitement bubbled out as men and women alike wear their merch tshirts of previous tours with pride. Coming onto the stage to Helter Skelter feels like a bold choice but it went down a treat, hyping an already bursting crowd to the point of no return before the band walk on stage and the room errupts to cheers, drinks being launched and flares filling the room with brightly coloured smoke. This is the night these fans have been waiting for – for months. With just two albums under their belt each song appeared to be a fan favourite and the set doesn’t slow up for a minute, excluding one acoustic rendition of Hourglass. Even then the crowd sang each word back to the band at full volume as Vann McCann sprinted from one side of the stage to the other, scaling amps and singing with all his might. Set highlights Kathleen and Business were belted out by the crowd with a ferocity and passion that showed just how much this band meant to them. Supporting Catfish and the Bottlemen tonight was Little Comets, with a healthy amount of people there to see them. 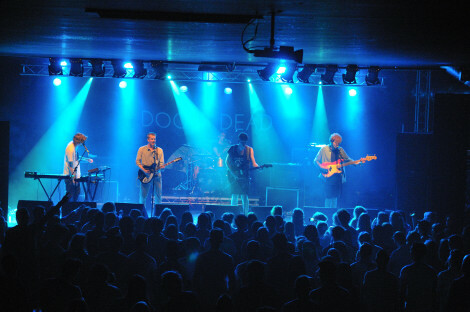 Their set acted as the perfect warm up, with indie pop melodies you couldn’t help but dance to and lyrics that will be stuck in many people’s heads for days to come.